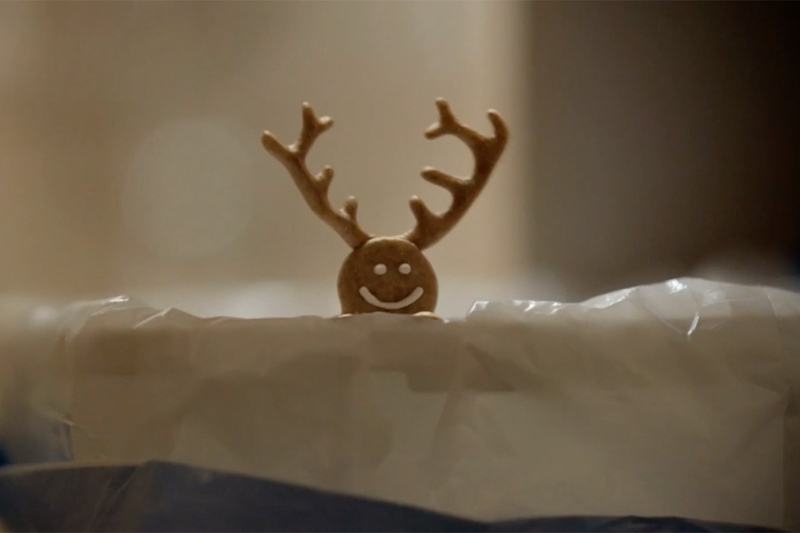 Lowe's is injecting a bit of humor into its brand with a new campaign. Under new CMO Marci Grebstein, the 70-year-old home improvement chain is debuting "Make Your Home Happy." The first spots, which bring inanimate objects like magnets or lawn ornaments to life, will begin airing Tuesday. 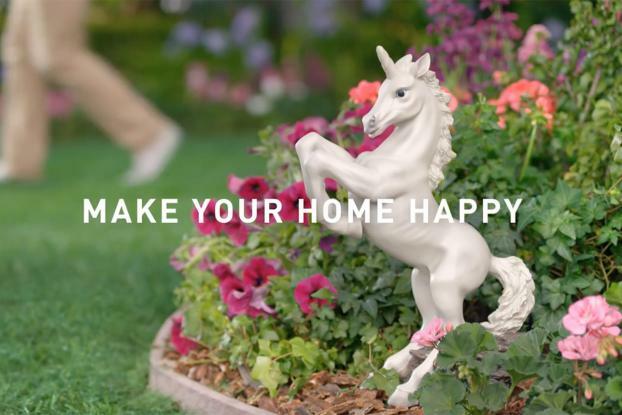 One commercial features a unicorn lamenting that his "tiny unicorn legs" don't afford him a better view of the lush green lawn. Others feature a preening lawn flamingo and an excited giraffe magnet. The 1,840-unit Lowe's is planning a total of six spots in 15-and 30-second variations; more commercials will continue throughout the year. "[The campaign] provides reasons to believe, proof points, about how Lowe's demonstrates its passion around helping consumers bring their visions to life," said Ms. Grebstein, who joined Lowe's as chief marketing officer last fall after stints at Food Lion and Staples. She noted that the humor in the ads will appeal to both Lowe's core customer who is a little bit older, and also the emerging millennial consumer who may be a first-time home buyer. "The humor has a different slant than we've had in the past," Ms. Grebstein said, noting that in testing it appealed to both sets of shoppers. 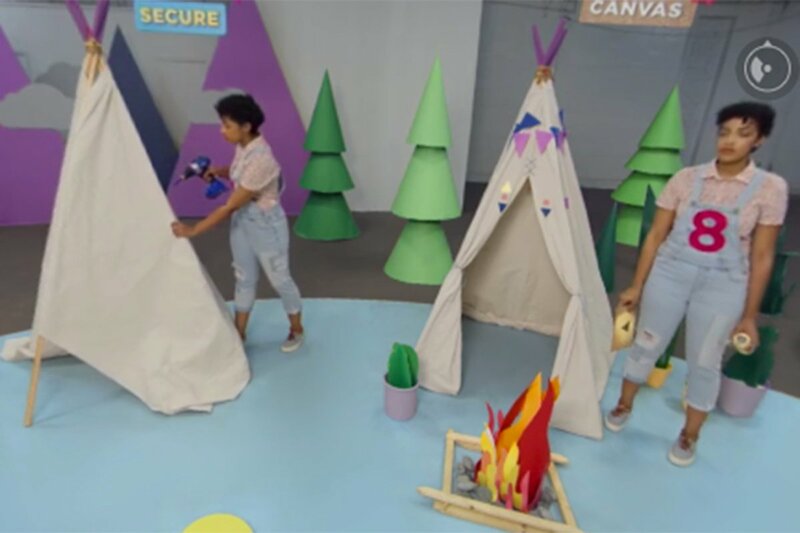 To further engage consumers and keep its content fresh, Lowe's has created alternate endings for the spots that will run online. The Mooresville, N.C.-based company, which is number two by market share following Home Depot, worked with BBDO, its lead creative agency, on the campaign. OMD handled media duties. 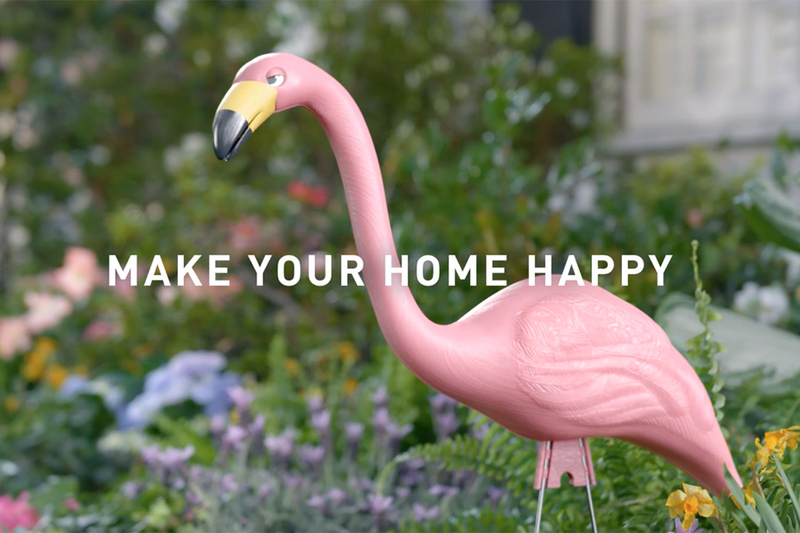 "The 'Make Your Home Happy' campaign is a way for Lowe's to communicate the different ways they go above and beyond to help people bring their home improvement visions or projects to life," said Tim Bayne, executive creative director at BBDO New York, by email. He noted that the marketing "allows us to inject some humor and personality that resonates with our emerging customers, without alienating our current customers."